If you feel hungry after gazing at Pedro Calderon de la Barca Statue, come to this restaurant to have a meal. Locals recommend Argentine dishes at Mu! 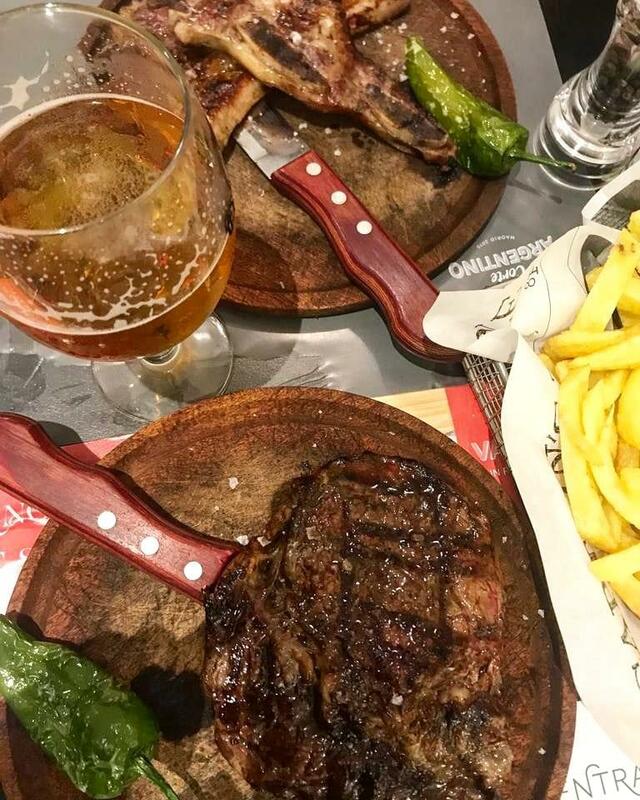 El Placer De La Carne. Take your family with you to have tasty steaks, empanadas and pies. Guests can order good flans and perfectly cooked gelato at this place. This place is famous for delicious wine, cordial or beer. Try great cortado, it's a must while visiting this spot. The great location of this restaurant makes it easy to reach even in rush hours. The attentive staff welcomes people all year round. Fabulous service is something clients like here. Mu! El Placer De La Carne offers you affordable prices for appetizing meals. The cozy ambiance makes a positive impression on customers. This place got 4.5 on TripAdvisor. It's hard to find anything good to say about this place. The meat was mediocre (and for my partner, was not cooked to medium rare... Bleeding on the plate! For a place that specializes in steak, you would expect that they get that part right!). The music was too loud to talk over. The smell was terrible, and then they lit incense (!!) which made it even worse! The tables are too small to comfortably manage the plate and the box of fries or salad that comes with it. And the glass windows on the kitchen allowed us to see the chef dropping a potato on the floor, and putting it back on the plate (thankfully for another customer). Finally, the server gave us the wrong bill, then came back as we were leaving and made us pay again for the correct bill (which is fair! Just very unprofessional! )2 stars only because the meat was not terrible. No other redeeming qualities for this restaurant. The meal is very good, but the service is quite rude.